The New York Times bestseller—a harrowing and hysterical memoir by the two-time Emmy Award-winning actress from the hit television show 3rd Rock from the Sun. 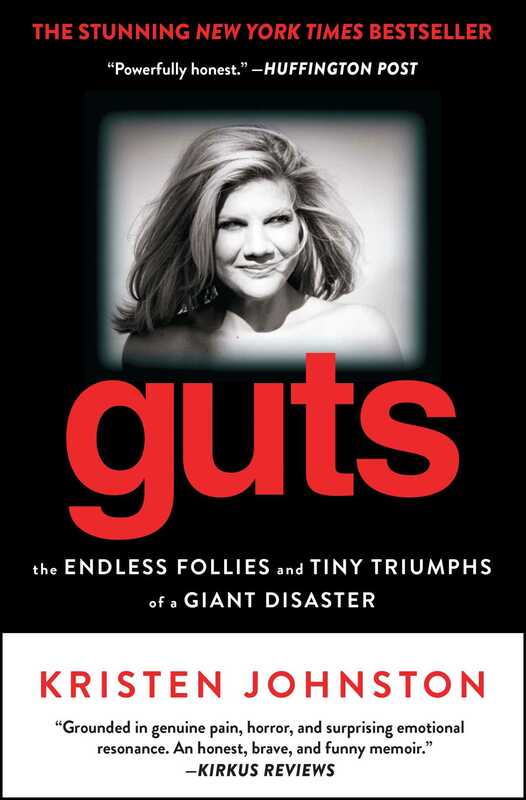 Actress Kristen Johnston has written her first book, a surprisingly raw and triumphant memoir that is outrageous, moving, sweet, tragic, and heartbreakingly honest. Guts is a true achievement—a memoir that manages to be as frank and revealing as Augusten Burroughs, yet as hilarious and witty as David Sedaris. Johnston takes us on a journey so truthful and relatable, so remarkably fresh, it promises to stay with you for a long, long time. Kristen Johnston is an actress, a teacher, and now a celebrated writer. She is one of the founding executive directors of SLAM, and she splits her time between New York City and Los Angeles.